Photo by MoolfEggs are taking center stage and are now a source of lighthearted laughter. I used to think they were boring. Sure, I enjoyed eating them for breakfast, but that was about it. 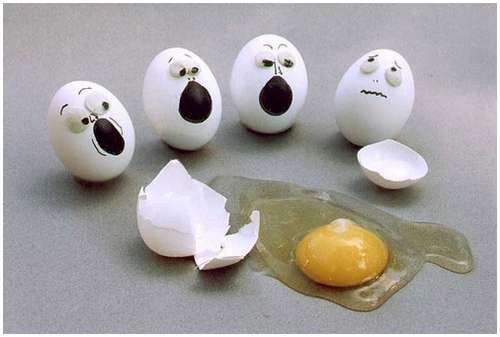 Eggs are being used as props to produce some funny photographs. And just when I think I’ve seen them all, another one pops up that brings a smile to my face. Who would’ve thought eggs could be so funny?